January can always start off as a pretty gloomy month. Christmas is over for another year, and all the buzz from New Year's Eve has vanished. It's back to the same routine, you're strapped for cash after buying presents and to top it all off the weather is as gloomy as you feel. 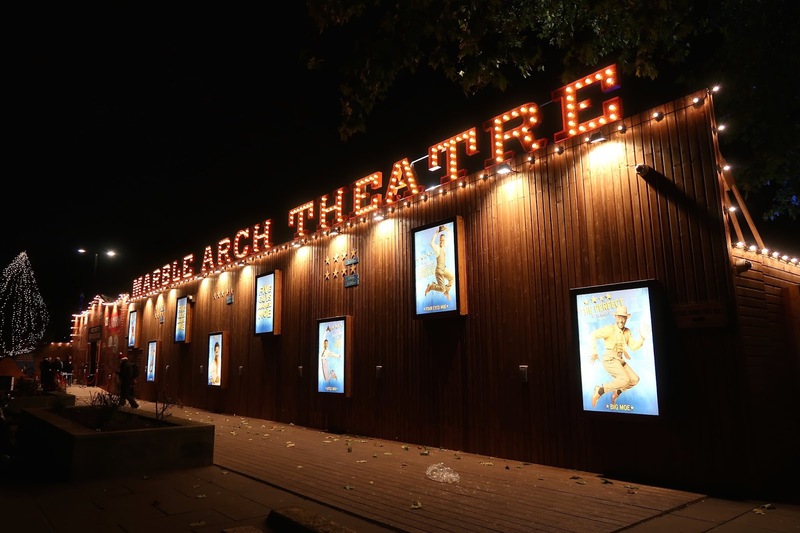 If you're looking for a way to cheer yourself up a bit this January that won't cost you the earth, then how about taking a little trip to the theatre? As an actor, going to the theatre has always been a thrill, especially when going to watch something completely new to me. In December I was lucky enough to go to the theatre 3 times in the space of a few weeks! If you want to know how I got cheap tickets and what other shows I saw, then let me know and I'll be happy to do a post about it. One of those shows was Five Guys Named Moe. I had heard of Five Guys Named Moe but never seen it, so when The Corner Shop PR asked if I wanted to go and see it, I couldn't say yes quick enough! 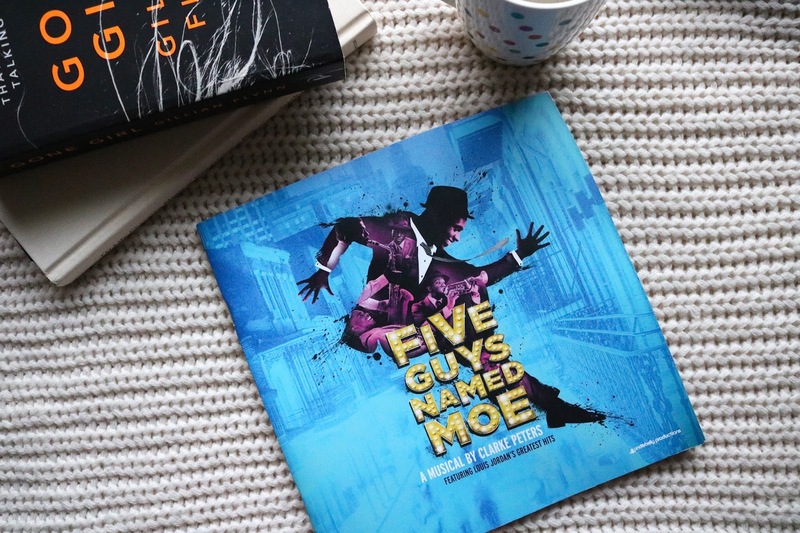 Five Guys Named Moe features some of Louis Jordan's (one of the leading practitioners of early jazz R&B) greatest hits, all of which are toe-tapping, high energy numbers. There is a loose storyline that puts the music well and truly in the spotlight, about an alcoholic called Nomax who is down on his luck, but when he meets the five guys named Moe they soon help him back onto his feet. 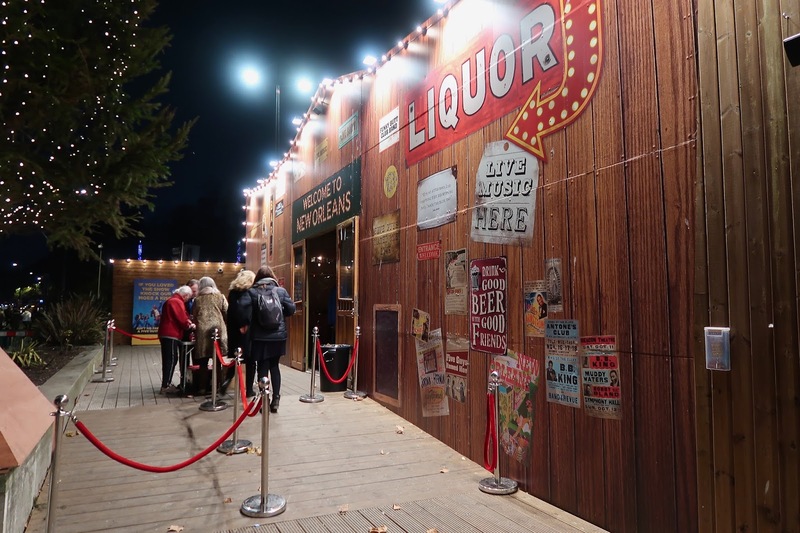 Five Guys Named Moe now has its home at the Marble Arch Theatre, a fab pop-up kitted out just like you've walked into 1940's New Orleans, including a live band above the bar, and delicious cocktails- try the Hurricane if you get the chance as they don't go stingy on the spirits! The show is set in a theatre-in-the-round, with a ring of the stage going through the audience so you have the action right on your laps. I only knew one of the songs, but it really didn't matter as they are all so catchy that soon everyone knows the words. On stage, there is an extremely talented live jazz band, including some amazing solos that had the whole audience watching in awe- especially the trombone player. The cast are all triple threat (singers, dancers, and actors) stars in their own right- they all have an impeccable bluesy voice that sends tingles down your spine and even though they are all very different they compliment each other beautifully in the harmonies. The person who stood out for me was Emile Ruddock who played Eat Moe, whose voice was so smooth and his comedic skills revolving around his love for eating was brilliant. Even though the stage was quite small, the cast were still able to perform wonderful dance routines with lots of tricks, flips, and splits along with some soft shuffle thrown in on top of the drinks tables! I really had no idea what to expect when I sat down to watch Five Guys Named Moe but I left with a huge smile on my face and singing the songs all the way home. Five Guys Named Moe is on at the Marble Arch Theatre until 24th March with tickets starting from £10, so make sure you don't miss out! I kept seeing posters about this show around London but never really looked it up, so I had no idea it would be such a unique experience like the one you described! Now I've got to add this one to the list of shows I want to see this year. The idea of singing and dancing in front of other people is a bit out of my comfort zone, but there's no harm in trying, right? You need to see it before it ends! As long as you join in then they won't pick on you. Thank you so much!